Mustang Trekking guides you to one of the ancient towns of Nepal in the Mustang trekking region of Nepal. Landing at the Jomsom airstrip, you follow the Kali Gandaki River valley and windy trail. Following the main trail it reaches to Kagbeni and you make a turn towards the awesome trail and ultimately to the stone-walled town. Lo-Manthang is the ultimate destination of the Mustang Trekking. 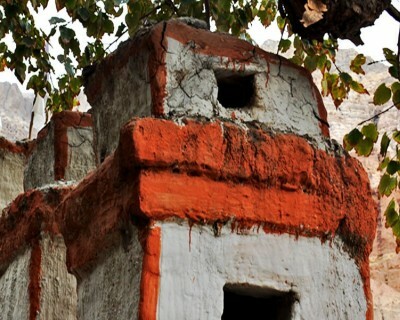 It is around red wall bounded town with traditional houses. In a way, you feel that they are the caves and you get astounded exploring the historically significant places. Tibetan Buddhism has made a great impact on the life of the common people. Kingdom was practiced for a long time there. It also remained mysterious for a long time to the rest of the world. 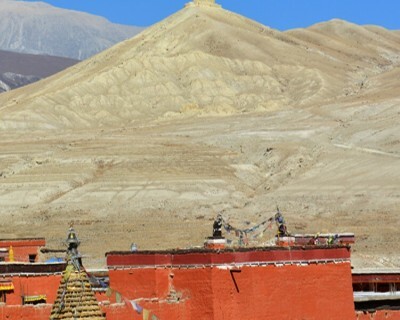 Every year, local people of the Upper Mustang celebrate Teeji festival worshipping the Lord of the rain. If you want to enjoy this cultural richness and a way of traditional life then mustang your trek with the perfect assistance of Nepal Hiking Trek. Being an arid region, the colorful flowers and seasonal vegetations offer striking views. Barley, buckwheat and other things are the local agricultural products. Heading to the hidden town of Upper Mustang, you can have a lifelong experience with our experienced trekking guides and the team. Please, contact us for more details.